But how many offer memories? When you carry the Citi Prestige Card, prepare yourself for some exclusive and unforgettable experiences, from complimentary access at airport lounges worldwide to 24-hour Citi Prestige Concierge services, and from a Preferential Mileage Earn Rate to Annual Relationship Points that the longer you stay with Citibank, the more extra rewards you can earn. Extend your trip with a complimentary 4th night at any hotel of your choice after a minimum 4-consecutive-night booking1. There's no limit to the number of times you can use this benefit. Reservations must be made through the Citi Prestige Concierge. Please visit Citi Prestige Benefits Terms and Conditions for details. 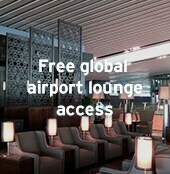 The Mastercard Airport Experiences provided by LoungeKey ("MCAE") is a worldwide program run by LoungeKey Ltd. ("LKL") whereby Citibank (Hong Kong) Limited ("Citibank") makes available to the Principal Cardholders of Citi Prestige Card ("Eligible Card") complimentary MCAE Lounge access, as well as access to airport restaurant, spa and retail offers. Principal Cardholders wishing to access a participating MCAE Lounge must present their digital lounge access code (this may be obtained by creating an account on the MCAE Website or Mobile App. To verify the eligibility, after registration Principal Cardholders may see a temporary charge of US$1 in the Eligible Card transaction history. This is solely a "pending" transaction and the Eligible Card will NOT be charged. After the eligibility is verified, the pending amount will be removed within 10 business days). Principal Cardholders can enjoy one complimentary MCAE Lounge visit per arrival or departure at each airport, and each additional visit will incur an entrance fee of HK$250. Each accompanying guest (including Supplementary Cardholders) should pay an entrance fee of HK$250 for each access. The fee will be debited from the Eligible Principal Card within 4 statement cycles after the lounge visit. Supplementary Cardholders may obtain their digital lounge access code by registering an account at the MCAE Website or Mobile App, and should pay an entrance fee of HK$250 for each access, which will be debited from the Eligible Principal Card within 4 statement cycles after the lounge visit. In the event of a lost or stolen, or a change of card number of Citi Prestige Card, the Principal Cardholder is required to update his/ her new card information on the MCAE Website in order to enjoy complimentary MCAE Lounge access. Earn 2 Points for every HK$1 you spend locally, and 3 Points for every HK$1 you spend overseas2. There's no limit to how many points you can accrue and they never expire, so you can save for a reward you really want. You can convert your Points to Miles with an exclusive mileage earn rate. Every 12 Points can be converted to 1 Mile. Earn Annual Relationship Points based on purchases every year. Your Annual Relationship Points are made up of a percentage of your yearly total eligible spending amount and the percentage rate increases based on the number of years you are with Citibank. For Citigold and Citigold Private Clients, the Annual Relationship Points earned are even more rewarding. The table below shows the breakdown among the various types of relationships. * After adding the extra 30% annual relationship points, you can earn 2.3 Points for every HK$1 you spend locally, and 3.3 Points for every HK$1 you spend overseas. Every 12 Points can be converted to 1 Mile. Terms & Conditions for Citi Prestige Card Annual Relationship Points Program apply. Through the "Cash Rebate" at Citi ThankYouSM Rewards, you can now redeem 200 Points for HK$1 cash rebate. One call connects you to a team of in-country experts who are ready to assist you 24/7 in wealth of languages, from anywhere in the world. Making dinner reservations at the world's finest restaurants, sourcing wonderful gifts, arranging spa treatments or leisure activities, as well as taking care of all your travel and entertainment requests, our representatives go above and beyond to help make your dreams a reality. Pay in full or redeem# for flight tickets / accommodation / travel tours with your Citi Prestige Card, you and your family can enjoy free travel insurance. Double the Travel Accident Protection by upgrading to Premier Plan. Optional benefits are available for perchase upon upgrading to the Premier Plan. # Please visit terms and conditions of "Free Travel Insurance" clause 2 for details. Upon expiration of the manufacturer's warranty, the extended warranty benefit duplicates the terms of the original manufacturer's warranty up to one (1) full year. Eligible purchases repaired or replaced for up to USD500 per claim and a maximum of USD2,000 over a 12 month period of insurance. Benefits are provided for the costs to repair, replace, or provide reimbursement for the item if it cannot be repaired or replaced. Purchase Protection Insurance provides coverage for loss of a Covered Purchase due to Accidental Damage or Theft occurring within one hundred and eighty (180) days from the date of purchase as indicated on the store receipt. Coverage includes up to USD3,000 per claim and maximum of USD20,000 over a 12 month period. Covered Purchases include worldwide purchases subject to the terms and conditions of the policy. To ensure you can make online purchases with complete confidence, e-Commerce Protection Insurance is provided automatically for purchases made with Citi Prestige Card. Wallet Guard Insurance provides worldwide coverage and reimbursement of up to USD500, and is subject to the terms and conditions of the policy. Please visit here for full insurance coverage, exclusions and terms and conditions. Please call our 24-hr Citi Prestige Concierge 2860 0338 for claim process. A gift of 240,000 Points5 every year from the second year onwards, equivalent to 20,000 Asia Miles/ Avios and enough for a round-trip flight to Tokyo or Seoul6. Click here for more World EliteTM Mastercard Privileges. As a Citi Prestige cardholder, you'll have exclusive access to global events and offers. Each year, our Citi Prestige Concierge team scours the globe to identify the most coveted experiences and events7. From courtside seats at sporting tournaments to fashion shows or the opening night of a big Broadway show - you'll be able to purchase tickets and gain admission to many exclusive events. Citi Prestige Card offers rewarding privileges with exceptional dining, hotel and entertainment experiences in Macau. Experience a legacy of luxury with a stay at Wynn Macau, the only resort in the world with eight Forbes Travel Guide Five-Star awards, and indulge yourself with a world of prize-winning, Michelin-starred delicacies. ^ All taxes of any kind associated with the hotel stay are to be paid by the Citi Prestige Cardholder. Please refer to Terms & Conditions for International Complimentary Night Hotelsand Resorts Program ("Hotel Program") for the statement credit details. Reservations must be made through the Citi Prestige Concierge. * Please refer to Terms and Conditions for the list of participating Hyatt hotels. ^ Applicable on Mondays to Fridays only. * Applicable on Mondays to Fridays on dinner buffet only. * Minimum spending is calculated before 10% service charge. 10% service charge will be applied based on the discounted price. The promotion is applicable for 2 to 12 persons per table during dine-in lunch/ dinner. Applying online for a Citi Prestige Card is easy. *Applicants would be offered 240,000 Points upon paying the first year annual fee of HK$3,800. Please visit Citi Prestige Benefits Terms and Conditions section E for details. Please visit Citi Prestige Benefits Terms and Conditions section B for details of Points. Citi ThankYou Rewards Terms and Conditions apply for all Points related offers. Please visit Citi Prestige Benefits Terms and Conditions section B for details. Please visit Citi Prestige Benefits Terms and Conditions section F for details. Cardholders using Citi Prestige Card for consecutively two (2) years or more are eligible for the Yearly Thank You gift of 240,000 Points from the second year onwards. 240,000 Points will be credited to the eligible Principal Cardholder's account in two (2) months after the annual fee has been fully paid. 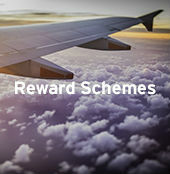 Reward flight redemption with Avios or miles are subject to availability. Taxes, fees and carrier charges apply. The mileage information is as of June 22, 2018 and is subject to changes in the respective mileage programs. Citi Prestige global offers and events are subject to availability. Some offers cannot be used or redeemed in conjunction with any other offers. All bookings must go through Citi Prestige Concierge. The Principal Cardholder can redeem Points for Cash Rebates issued in the form of a credit on your Eligible Card statement, at a rate of 200 points to HK$1 (subject to a minimum amount of HK$50 per redemption). ("Cash Rebates") The Cash Rebates will be credited to your Eligible Card account within 7 calendar days after receiving our order confirmation email and the redemption will be shown in the Cardholder's next statement cycle. The Cash Rebate is applied to the overall balance on the account, but you must still make the monthly minimum payment due. Cash Rebates may not be canceled, amended or returned. Your account must be open and not in default in order to be eligible for Cash Rebate redemptions. There is no limit to the number of Cash Rebates each Principal Cardholder can enjoy. For details, please visit: www.citirewards.com/cms/sites/globalrewards-hk-eng/terms-and-conditions.page. Please visit Citi Prestige Benefits Terms and Conditions section C for details. The period of the Free Travel Insurance is valid for travel journey between April 1, 2019 and March 31, 2020 (both dates inclusive). 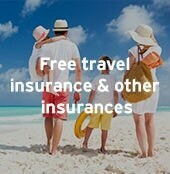 To be eligible for free travel insurance, (a) either one or more of the following has/have been purchased or settled by the principal cardholder with his/her Citi Prestige Card: (1) the in/outward-bound travel tickets to/from Hong Kong; (2) the accommodation cost for the entire journey; (3) the tour package; or (b) in the event that condition (a) above is not satisfied but instead one or more of the items stated in (1), (2) and (3) above has been acquired with points earned by a rewards program, any additional costs (including tax and fuel surcharge and any fees which is required to be paid according to any local requirement (if applicable)) must be paid by the principal cardholder with his/her Citi Prestige Card. Principal Cardholders could upgrade through Zurich's portal or call Zurich's Customer Service hotline at 2903 9482. Please refer to the policy wordings in Zurich's portal for detailed coverage. Only upon upgrading to the Premier Plan, could the principal cardholders purchase the Optional Benefits. Citibank (Hong Kong) Limited is not the insurance underwriter of the Travel Insurance Basic Plan and Travel Insurance Premier Plan ("the Policy"). Zurich Insurance Company Ltd. ("Zurich") is the insurance underwriter ("the Insurance Underwriter") of the Policy and is solely responsible for all coverage and compensation. The Insurance Underwriter is not a subsidiary or an affiliate of Citibank (Hong Kong) Limited or Citibank, N.A. or Citigroup Inc. The Policy is part of the credit card feature and Citibank (Hong Kong) Limited shall not be responsible for any matters in relation to the Policy provided. Unless otherwise specified, insurance products are not bank deposits or obligations of, guaranteed or insured by Citibank (Hong Kong) Limited, Citibank, N.A., Citigroup Inc. or any of their affiliates or subsidiaries, or by any local government agency. This statement is not a policy or contract of insurance. The original policy is on file at the office of Citibank (Hong Kong) Limited. Final decisions will be made in accordance with original policy. For insurance details, please refer to the Travel Insurance Basic Plan Factsheet or the Travel Insurance Premier Plan Factsheet. For claims enquiry, please call Zurich's Customer Services Hotline at 2903 9482. Citibank (Hong Kong) Limited and its Insurance Underwriter reserve the right to make the final decision on all claims. The Purchase Protection Insurance, E-Commerce Protection Insurance, Wallet Guard Insurance and Extended Warranty Insurance are brought to Citi Prestige Cardholders by Mastercard. For full insurance coverage, exclusions and terms and conditions, please refer to the following webpage of Mastercard: worldelite.mastercard.com/content/world-elite/apmea/en/toolbar/global-footer/terms-n-conditions.html or call 24-hour Citi Prestige Concierge at 2860 0338. 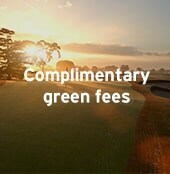 Offer is valid for principal cardholders ("Eligible Cardholders") of Citi Prestige Card ("Eligible Card") issued by Citibank (Hong Kong) Limited ("Citibank"), and for bookings made at the participating Hyatt Hotels properties ("Participating Properties") through the Citi Prestige Concierge during the period from 9 January 2019 to 30 June 2019 (both dates inclusive) ("Promotion Period"), with stay completed on or before 30 June 2019 (this date inclusive). Eligible Cardholders who make a booking for a minimum of 4 consecutive nights' stay at Participating Properties will receive one (1) free night from Hyatt Hotels that will be reflected in the total room rate of the first four nights stay and a 25% rebate on the total room rate cost of the first four nights stay from Citibank (excluding local taxes and service charges) via a statement credit after completion of the stay. Participating Properties are listed below. The list is not exhaustive and new participating Hyatt hotels may be added or any existing participating Hyatt hotels may be removed from the list during the Promotion Period. The 25% rebate will be given via a statement credit from Citibank and the Eligible Cardholder will only be eligible for the 25% rebate once for the first four nights per stay and the complimentary night from Hyatt Hotels is capped at one (1) night for the first four nights per stay, regardless of the total number of nights booked. Citibank's Terms and Conditions for International Complimentary Night Hotels and Resorts Program apply for the 25% rebate via statement credit. Please visit https://www.citibank.com.hk/english/credit-cards/tnc/tnc_e.html for details. Taxes will not be credited. Hotel imposed fees and incidental guest charges, local taxes and service charges are the Eligible Cardholder's responsibility. Reservations using the Offer must be made through Citi Prestige Concierge. Hyatt Hotels' standard terms and conditions shall apply in respect of all reservations made using the Offer. Offer cannot be used in conjunction with any other promotions or offers. Offer also cannot be used on World of Hyatt loyalty programme redemption or award bookings. World of Hyatt loyalty programme membership is required at time of booking. Enrolment required at time of booking or if the guest is already a member – the World of Hyatt membership number should be recorded within the booking field. The Eligible Cardholder must be the booking, staying and paying guest on the reservation and stay at the Participating Property for the entire reservation. An Eligible Card must be presented to make the reservation and to settle payment. All reservations are subject to rate changes, room availability and the Offer is not applicable during the blackout dates. Cancellation or changes are not allowed upon confirmation of reservation. All no show reservation will be charged based on total stay duration and is non-refundable. Payment at Hyatt Hotels will be charged upon check out. A stay refers to consecutive nights booked and stayed on one reservation and does not include back-to-back stays. Back-to-back stays are stays at the same hotel booked on two reservations (Example: a booking of four nights at a hotel on one reservation from March 1 to March 5, and another booking of four nights at the same hotel from March 5 to March 9 on another reservation). The Offer is non-refundable, non-transferable, non-combinable, and valid for new bookings only. The rebate will not apply to cancelled bookings and any other Hyatt Hotels promotions or published rates. All statement credits will be reflected on the Citi Prestige card statement as being a result of the Offer and will appear within two billing periods following the month in which travel was completed; or in the case of promotional "pre-paid" that are paid in full as described above, the statement credit will be reflected within two billing periods following the date of payment in full of the "pre-paid" rate. Foreign exchange conversion rates may fluctuate resulting in slight differences in amount credited. The hotel products and services offered under this Offer are provided solely by Hyatt Hotels, under such terms and conditions as determined by Hyatt Hotels, and Mastercard accepts no liability whatsoever in connection with such products and services. Citibank will not be liable for any loss or damage incurred as a result of any interaction between an Eligible Cardholder and Hyatt Hotels with respect to the Offer. Except as set forth herein, all matters, including, but not limited to, delivery of goods and services, returns, and warranties are solely and strictly between the Eligible Cardholder and Hyatt Hotels, subject to applicable law. The Eligible Cardholder acknowledges that Citibank does not endorse or provide warranties of any kind in relation to Hyatt Hotels that are accessible through the Offers that they provide. The Complimentary Boingo Wi-Fi is valid for registration at Mastercard.boingo.com from now until December 31, 2019. The Complimentary Boingo Wi-Fi is brought to Citi Prestige Cardholders by Mastercard. For offer details and terms and conditions, please refer to the following webpage of Mastercard: www.worldelite.mastercard.com/content/mc/offerexchange/world-elite/apmea/en/live-with-style/sports_entertainment/Boingo_Wi-Fi_for_Mastercard_Global.html. Unless otherwise specified, the promotion applies to Cardholders of Citi Prestige Card ("Eligible Card") issued by Citibank (Hong Kong) Limited ("Citibank"). 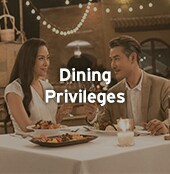 Cardholders are required to state their intention to enjoy the offers at the time of reservation and before ordering and settle the whole payment by Citi Prestige Card to enjoy the dining offers. The offers are valid from now until March 31, 2019. The offers are applicable for 2-12 persons and available for food and dine-in only, unless otherwise specified. Children at or below 12 years old will not be required to achieve the minimum spending per person, the minimum spending per person will be calculated by the total amount of the bill per person exclude children at or below 12 years old. Minimum spending is calculated before 10% service charge. Prior reservations at participating restaurants are encouraged but not compulsory. Cardholders should identify themselves as Citi Prestige Cardholders using the "Mastercard Wine Privileges" before placing orders. Complimentary wine is for dine-in or for take-away at the cardholder's discretion. The offer is valid when paid for in full with a valid World Elite Mastercard. The offer is limited to one complimentary bottle of wine per bill. All participating restaurants reserve the right to replace designated complimentary wine with another wine of similar value. The offer is available based on participating restaurants' regular hours, with no blackout dates. Split billing within a dining party is strictly not permitted even if separate tables are requested. Please consult your server upon placing your order should you have any questions pertaining to this condition. Complimentary wine is not exchangeable for cash, or other goods and services and must be redeemed on the same day of restaurant visit. For feedback, complaints or enquiries, e-mail us at feedback@wineprivileges.com. Emails will be responded to within 24 hours. The program is valid from now until September 30, 2018. Mastercard may terminate this offer and/or change the list of participating restaurants at any time without prior notice. The offer is valid from now until December 31, 2019. The offer is not applicable on non-Sunday public holidays and public holidays fall on a Sunday. The offer is only applicable to Principal Cardholders (“Eligible Cardholders”) of Citi Prestige Card (“Eligible Card”) issued by Citibank (Hong Kong) Limited ("Citibank"). Eligible Cardholders can enjoy a 1-night stay in Deluxe Room including buffet breakfast for two at Café Esplanada with HK$2,000 food and beverage credit at Wynn Macau (“Prestige offer”), with a discounted price of HK$3,000, excluded tax and service charge. Eligible Cardholders should book and redeem by calling Wynn Macau hotel reservation toll free number at 800 966 963 and stating the redemption code from 1 April 2019 to 23 November 2019 (both dates inclusive) (“Booking Period”) for stays from 8 April 2019 to 30 November 2019 (both dates inclusive). The Eligible Cardholders must be one of the guests, and must present Citi Prestige Card upon check-in. It shall be each of the guest’s responsibility to obtain valid traveling documents or any other necessary documents at the guest’s own costs. Room and inclusions can be utilized for Wynn Macau only. This experience entitles the offer inclusion as specified only. All other expense incurred will be on guest’s own account to be settled upon departure. Promotion offer are subject to availability upon confirmation of reservation. The offer is not applicable on April 5-7, 29, 30, May 1, 2, 10-12, June 7-9, 28-30, July 1, September 13-15, 30, October 1-7 and November 14-17, 2019. This offer can only be enjoyed once. This offer cannot be enjoyed by the Winners of the “Spend to win a stay at Wynn Macau”. This offer cannot be redeemed for cash and any unused value will not be refunded. Room must be booked at least 7 days before the arrival date. No Walk-In booking will be accepted. After the end of the booking period, bookings under this offer will not be accepted. The occupancy of the Room is 2 adults. Maximum of 1 extra bed can be requested for up to 2 additional children aged 12 years old or younger for free; or for up to 1 additional adult (above 12 years of age), for an extra charge of HK$500 plus service charges and taxes for the additional adult. Each Room can have a maximum of 1 extra bed. Room preferences and bed types are on request only, and subject to hotel availability upon check-in. Check-in time is at 3:00 p.m. and check-out time is at 12:00 p.m. Early check-in or late check-out is subject to availability and charges. Cancellation or changes to the booking must be made 3 calendar days before the date of arrival. For cancellations made within 3 calendar days before date of arrival and no-shows, Eligible Cardholders must pay the full rate plus tax and service charge. Citi Prestige Card must be used as guarantee for the reservation. A guarantee amount of HK$4,450 will be charged by Wynn Macau and HK$1,000 will be returned upon check-out. Eligible Cardholders will be required to present the Citi Prestige Card used to make this reservation at check-in, otherwise, the full price of the Room will be applied. Wynn Macau reserves the rights to change the hotel accommodation Terms and Conditions at its own discretion without prior notice. The HK$2,000 food and beverage credit must be used during the stay period; and can only be utilized after check-in and before check-out. Selected restaurants may have dress code and kid policies. Please contact Wynn Macau for details. Reservation is required for Fine dining restaurants (Golden Flower, Mizumi, Wing Lei, Ristorante Il Teatro), reservation hotline: +853 8986 3663. Booking is subject to availability. This offer is non-transferable, non-refundable and cannot be redeemed for cash, nor will any unused balance be reimbursed. This offer does not allow for take away. This offer does not apply to Wynn Macau Limited team members. In case of any disputes, Citibank and Wynn Macau reserve the right of final decision. The offers are valid from now until June 30, 2019. The offers are subject to availability and blackout dates. The offers are limited to 4 tickets per transaction per attraction per day. The offers are brought to Citi Prestige Cardholders by Mastercard. For offers details and other terms and conditions, please visit www.mastercard.com.hk/en-hk/consumers/offers-promotions/best-of-macau.html. The offer is valid from now until June 30, 2019. The offer is not applicable on public holidays/ weekends and is subject to availability. Pay with Eligible Card and book a second treatment on the same day and receive 50% off the lower priced treatment. The offer is applicable to all A La Carte facial and body treatments (excluding waxing and nails). The offer is brought to Citi Prestige Cardholders by Mastercard. For offer details and other terms and conditions, please visit www.mastercard.com.hk/en-hk/consumers/offers-promotions/best-of-macau.html. These offers apply to principal and supplementary cardholders ("Cardholders") of Citi Prestige Card issued by Citibank (Hong Kong) Limited ("Citibank") ("Eligible Card"), unless specified. If Cardholders have subsequently cancelled/ reversed any transactions in respect of which offers are rewarded, Citibank reserves the absolute right to charge the equivalent value of such offers directly from the Eligible Card account without prior notice. Cardholders must maintain valid Eligible Card accounts with a good credit record in order to be eligible for the offers. In case there is any fraud/ abuse, Citibank reserves the absolute right to charge the equivalent value of the offers rewarded under these programs directly from the Eligible Card account without prior notice, forfeit the Cardholder's eligibility to be entitled to the offers, and/ or suspend the Eligible Card account for investigation without prior notice. Cardholders are required to settle payment in full with an Eligible Card in order to enjoy the offers. Unless otherwise specified, the offers cannot be used in conjunction with other special promotion or discounts or promotional coupons or exchanged for cash. Availability of the offers is subject to stock availability, account status checking and final acceptance by Citibank at its absolute discretion. All photos and prices are for reference only. Citibank shall not be responsible for any matters in relation to the related products or services provided by the respective merchants. The respective merchants are solely responsible for all obligations and liabilities relating to such products or services and all auxiliary services. Citi ThankYou Rewards Terms and Conditions apply for all Points related offers. For details, please visit www.citibank.com.hk. Citibank and the respective merchants reserve the right to vary or cancel the offers and/ or amend or alter these terms and conditions at any time without prior notice. In the event of any dispute, Citibank's and the respective merchants' decision shall be final and conclusive.